Travis Bickle (Robert De Niro) is no man’s hero. He’s a dark and harrowing beast of a man; lonely in his cave-like taxi and lonelier still in a crowd of people. His frustration as a Vietnam veteran and as an American is a palpable one – something many Americans share. With punctuated voice-overs and caffeinated insight, his nighttime world of pimps, prostitutes, and thugs becomes ours – even his passengers are not immune to the sickness percolating in his doped-up mind. It’s a frightening world that welcomes Bickle; a world that dares him to go to extremes in order to cope with the fine line he crosses. Yet, Taxi Driver should be celebrated as the heroic onslaught of 70s cinema that it is; proof that, at one time, Hollywood was unafraid of creativity and trying something new for a change. Inspired by the diary entries of the man who shot George Wallace, Paul Schrader’s searing script simply bursts with the spirit of a broken and isolated man. 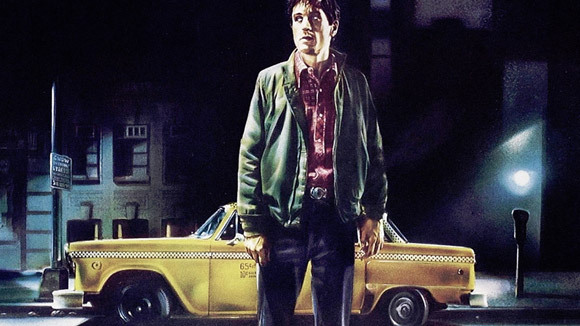 Bickle is the voice of the narrative and it is his reaction to the realities of a harsh world – a twisted reality whose borders are defined by the edges of his taxi cab – in which we are presented with throughout. Even the nighttime rain does no good in cleansing the New York streets of what Bicker despises the most. He fights to save a young teen (Jodie Foster) from her long-haired pimp (Harvey Keitel), yet can’t find the courage to talk to most people in an appropriate manner. After frightening off a campaign volunteer that has caught his eye - Betsy (Cybill Shepherd) – Bicker decides to focus his rejection onto the candidate she supports; his psychosis is that real and that engaging. Shot on location in 1974, the shoe-string budget that holds this classic together is wound tightly to the past successes of its individual members. Scorsese had Mean Streets and Alice Doesn’t Live Here Anymore (as well as an exploitation film for Roger Corman) under his belt and De Niro had the benefit of working with Scorsese on Mean Streets and had just won the academy award for The Godfather Part II. Schrader had his earnings from The Yakuza, so the producers knew the film was in very capable hands. Even the soundtrack, composed by Bernard Herrmann (the final one before his death), is blessed with the spirit of an avenging angel. There simply is no flaw in this masterpiece of cinema. Shooting with limited space and light, Scorsese and the film’s cinematographer, Michael Chapman, often squeezed themselves onto the floor of the cab in order to pull of the effect of verisimilitude some of the camera shots provide. While there is little change in the shooting script as written, some of the scenes – giving to the experimental spirit of the 70s – are products of on-the-spot adlibbing and improvisation. This includes the most quoted line in cinema, “You talkin’ to me?” Yes, a line never written; a feat of improvisation and skill from the actor and his director. Even today, there is a powerful presence and guiding influence inside the framework of Taxi Driver. The steam rising from the city streets speaks heavily of its film noir influences and the yielding urban lighting speaks of a crawling atmosphere that is comparable only to the work of foreign directors such as Vittorio De Sica. Still the film inspires in bursts of creativity that is comparable only to the true masters of film and it doesn’t let go ever until the very ending, capitalizing on an ending that invites interpretation and, if you ask some people, a continuation. Under the direction of Scorsese, Taxi Driver is a true American classic. Tagline: He's a lonely forgotten man desperate to prove that he's alive. Memorable Movie Quote: "You talkin' to me? You talkin' to me? You talkin' to me? Then who the hell else are you talking... you talking to me? Well I'm the only one here. Who the @#$% do you think you're talking to? Oh yeah? OK."
Synopsis: Vietnam War veteran Travis Bickle works the night shift as a New York City taxi driver. Becoming increasingly isolated, he violently lashes out at the perceived decadence and filth of the city. Courtesy of Sony Home Entertainment, Taxi Driver gets the HD treatment it deserves. The film is presented in a sharp 1080p/AVC transfer that has the gritty saturation of colors on high and grime of age on low. The film is, as appropriate, filled with grain and visuals that lean a little to the hazy range. Still, there is sharp contrast and black levels are never lost at night, making for a rich experience. Cleaned of dirt and age, the restoration is simply the best this film has ever looked. While there is a faint hiss from time to time, the soundtrack, mixed in 5.1 DTS-HD Master Audio, provides a great presentation of Herrmann’s jazz-haunted score. There are three commentaries included here: the original Criterion one, commissioned in 1986, and the two that were recorded for the 2007 release of the film. All are engaging and thorough. They feature Scorsese and Schrader talking candidly about the making of the film as well as their own personal styles of filmmaking. All the commentaries are great; however, the best is one provided by University of Virginia Professor Robert Kolker, who champions this film in observance of the cinematic change that it ushered in. Housed in a protective hardbound cover, the blu-ray comes with 12 lobby cards from the film. 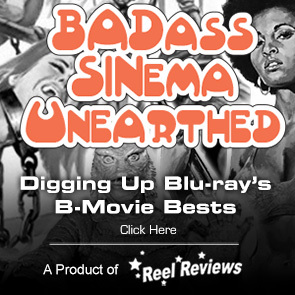 They are great for the collector and the fan of the movie as they showcase the film at its most dynamic. The extras for the 35th anniversary release are in abundance and include those found on the last Taxi Driver release. With eight production/retrospective featurettes, a documentary about the film, in addition to storyboards, stills and much more, the supplemental material makes for a must-own release.